Garcia has slipped to number 50 in the world rankings after a sorry spell. Garcia's decision appears to rule him out of the Ryder Cup match against the U.S.
(CNN) -- Spain's Sergio Garcia will take a two-month break from competitive golf after this week's PGA Championship at Whistling Straits. Former world number two Garcia has seen his form dip and revealed his decision after finishing tied for 22nd at the WGC-Bridgestone Invitational at Firestone, ironically one of his better displays in a torrid season. "It's been a long year," he told gathered reporters. "I haven't had a nice, long break my whole career." The 30-year-old said he will not return until the Castellon Masters in his native Spain, effectively ruling himself out of the Ryder Cup in Wales. Garcia, who is well outside the automatic spots, said he had told European captain Colin Montgomerie. "I've talked to him - he knows what I'm planning to do. "I need to miss the game a little bit." Only a top three finish in the final major of the season in Wisconsin would leave Garcia in a qualifying place on the Ryder Cup points list. He will also miss the FedEx Cup playoffs on the PGA Tour. 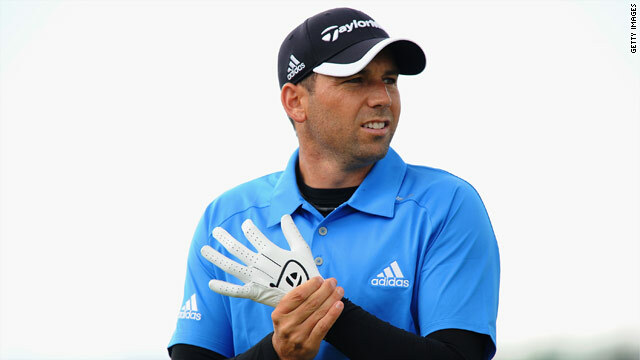 Garcia has played on every European Ryder Cup team since he made his debut as a 19-year-old at Brookline in 1999. He has a superb 14-6-4 record in the biennial match and has never lost a foursomes match. His decision could help relieve the pressure on Montgomerie, who still may be forced to make three picks from three-time major winner Padraig Harrington, English pair Justin Rose, Paul Casey and Martin Kaymer of Germany.